This is the 2012 calendar!!! Scottish Highland Gathering and Games, presented by the Caledonian Club of San Francisco! Only in Pleasanton can the term, "The Big One" be realized. As one of the world's largest Celtic gatherings, the event on Saturday and Sunday, September 5 and 6, is one of the Greater Bay Area's best entertainment values for the entire family. Shop and compare! So much to do and see at an admission price far below its value! The haunting bagpipes and drums are magnified by more than 25 pipe bands from the U.S. and Canada, all competing for top recognition, and, all providing a unique experience in the "Massed Bands" held each afternoon as part of the spectacular closing program in front of the main grandstands. More than 750 bagpipers and drummers, augmented by the always popular U.S. Marine Band, San Diego and their spectacular marching and show tunes. Olympic class athletes throwing a 130-pound, 22 foot log into the air with precise strength and agility, propelling the "caber" end-for-end to attempt a perfect score. These same athletes from the U.S. and England using their skills in seven other disciplines of strength, including the World Championship for the Scottish Hammer. fiddlers, all part of the weekend activities. Entertainment - the Games are the epitome of Celtic music - from the classical troubadours singing Celtic tunes, to the accompaniment of their guitar. Melodic musical groups will present a multitude of vocal styles, to the feverish amplified pitch of rock-and-roll, Celtic style - All of this on eight stages with more than a dozen acts throughout the fairgrounds. Mary Queen of Scots and her Royal entourage holding court and strolling the fairgrounds in 1562. The Roman Legion, invaders of Scotland centuries ago, and the Vikings who followed, practicing combat and brushing up on their skills to face the famous Highland Warriors who make their presence known with their leader Chief Diarmid. Moving forward to the 1800's and the Gordon Highlanders in their dazzling kilts and red coat uniforms, firing upon the enemy with their Martini-Henry rifles and the rapid pounding sound of the Gatling Gun. -All of this, a part of Living History at the Scottish Gathering and Games. Perhaps you have a bit of Scottish heritage within your veins. Check it out among nearly one-hundred clans represented in their colorful clan tents. Five-A-Side soccer brings teams from California and Nevada to compete each afternoon. This year the Games had added rugby and shinty on a new playing field. Three games of Rugby and two of Shinty, Scotland's oldest team sport will compete. The Children's Glen games, prizes and face-painting are a treat for the little tykes. They, along with their parents, will be enthralled by the Birds of Prey, exhibiting falcons, owls and other raptors. The Clydesdale wagon team and the Highland Cattle are must-see. For the adults, "Taste of Whisky at the Games" is an opportunity, at a modest price, to experience top single malts and blended whiskies, and attend a whisky seminar to learn about Scotland's famed spirits. A new addition is the Red Lion Pub, where one can purchase a variety of imported ales and beers and enjoy ethnic foods. There are more than one-hundred vendors within five buildings, plus Scottish/British and standard fairgrounds food. The old adage, "something for everyone" stands true and tall at the 144th Scottish Highland Gathering and Games - and, you don't have to be Scottish to enjoy this captivating experience. Times: 9am to 6pm. Sunday, 9 a.m. to 6 p.m.
Advanced Sale: Adult 1-day $15.00 /2-day $22.00; 1 day Youth 13-17, Seniors 65+ & Handicapped $10.00. Advanced Grand Stand Seating: Box Seat per day: $10; Reserved Seat per day: $5; Bench Seat per Day (not assigned seat): $5. Tickets also available on the day of the games. $20 for a one-day adult and $27 for an adult 2-day ticket. Seniors 65+, youth 12-17 and handicapped are $12. 11 & under and military with active duty ID are free. 31st Annual Harvest Wine Celebration showcases historic Livermore Valley Wine Country during the peak of Harvest Season! With over 40 wineries sharing their wines, hospitality and offering a unique experience, it makes for a memorable weekend for wine enthusiasts and friends. In celebration of the Harvest, the wineries are open on Sunday & Monday of Labor Day Weekend to ticket holders only. On Sunday, complimentary shuttle buses take guests to over 40 wineries, where guests will enjoy: wine tasting, music, food and art vendors, wine discounts, and more. Guests can also choose to drive themselves. On Monday, guests can enjoy a more intimate day at the wineries as each winery will offer wine tasting and unique activities like winemaker discussions, barrel tastings, and more. There are no complimentary shuttles on Monday. Location: Local Wineries and Robertson Park. Non-Drinking Ticket $10 (good for both days) This is an adult event. Children are discouraged to attend. Pets are not allowed. Summer and our Street Parties are coming to an end and what better way to say "so long!" than to celebrate our wonderful City and our very special Downtown. September's featured band is BLIND NURSE (located in the beer and wine garden)! Stop in at our Beer and Wine Garden where you'll be able to enjoy beer and wines from our local Livermore Valley Wine Country. Location: Round Table Pizza Parking Lot, 530 Main Street, Pleasanton. Art Happens on the second Thursday each month in downtown Livermore! From 6 � 8:00pm, drop in on exhibitions, demonstrations, open studios, or meet the artists. Join in on art critiques, �make it and take it� sessions, learn pottery painting techniques and more. Enjoy live music, wine tasting, coffee or microbrews while enjoying art in galleries, tasting bars, studios, shops and restaurants. It�s all within walking distance, and the parking is free! �Make it and take it� from $5 - $15, glass gift shop open with guest artist receptions and demonstrations. Thursday nights�come early for the art, stay for open mic at 7pm. Rotating displays by gallery artists. Local artist displays coordinated by artistic edge. Appetizers, wine tasting available for purchase. Perennially rotating exhibition by local artist Trish Fenton. Enjoy the art, the tapas and stop by for a cocktail, it�s Karaoke night! Rotating displays by gallery artists and special events. Always open during farmer�s market � do your shopping and enjoy local art. From one of China�s most acclaimed and influential circus groups, the spectacular �Cirque Chinois� is a breathtaking and visually enthralling experience for the whole family. Renowned for their innovative acts of physical daring, these astonishing athletes defy gravity, executing stunning feats of balance, juggling, and contortion, and stretch the limits of human ability by literally flying through the air. The unique artistry of the National Circus of China has earned numerous awards over nearly six decades, thrilling audiences around the globe. Mark your calendars for September 14-16 to attend the fourth annual Guitar Fest LIVE! Take the rare opportunity to get up-close and personal with legendary guitarists as they share their tips, techniques and talents in Livermore�s historic downtown! Enjoy a world class concert with Larry Carlton at the intimate Bankhead Theater, attend a free clinic at ABC Music taught by your favorite guitar guru, check out the hottest new guitar gear, or kick back at the outdoor stages for free live concerts and enjoy a glass of award winning Livermore Valley wine or a cold pint of micro-brew. This year, LVPAC Guitar Fest LIVE! will hold its first Acoustic Guitar Competition. This is an outstanding opportunity for talented guitarists to take the stage, gain fans, and win great prizes including valuable media and performance exposure. The grand prize winner will be selected from the six finalists invited to perform before a panel of expert judges and live audience. The Volker Strifler Band (VSB), a popular Northern California based tour-de-force of musical talent, has become a rising musical phenomenon garnering local, regional and national recognition. VSB is fronted by their namesake and founder, Volker Strifler, whose remarkable talents as singer, songwriter, producer and guitarist extraordinaire are helping propel both him and the entire band toward world-wide recognition. It's not hard to understand why VSB is making such a splash. This band moves languorously from jazz and roots, to blues/rock and a funky calypso rhythm; with performances highlighted by their show stopping guitarist, a thundering rhythm section, white hot horns, and one funky, soulful keyboardist! The last Comedy Uncorked of the season. Johnny is a legendary Bay Area comedian, TV and radio personality. "An intense comic whose best material grows out of anger at the state of modern American culture." - San Francisco Examiner. Larry is a San Francisco based comedian, popular for his not-so-bubbly take on the world. Seen on more than 25 TV shows, such as David Letterman and the movie "The Kiterunner." He has been a frequent opening act for Dana Carvey and Dave Attell. Lynn Ruth smashed her heel in July and said to the powers that be, "I may not be able to walk but I can still tell a killer joke". She has continued doing 'stand up while sitting down' this summer, and Retzlaff Winery will be her spectacular debut back into 'standing up to do stand up'. The jokes are choice, the humor is blue and the fun is guaranteed. Zephyr bar and grill in downtown livermore will have food available for purchase or bring your own picnic. Part of Guitar Fest LIVE! Four-time Grammy Award-winner Larry Carlton has been called one of the most accomplished, admired and imitated guitarists in the world. While not everyone knows his name, virtually everyone has heard him play. A sought-after session guitarist in the 60s and 70s, Carlton�s smooth style is heard on more than 100 gold records with artists from Barbra Streisand and Linda Ronstadt, to Dolly Parton and Michael Jackson, including Steely Dan�s �Kid Charlemagne,� and Joni Mitchell�s classic Court and Spark. He has played with The Crusaders and Fourplay, as well as built an immensely successful solo career, thrilling his fans, who appreciate the unmistakable sound of his guitar wherever they hear it. Mark your calendars for September 14-16 to attend the fourth annual Guitar Fest LIVE! Take the rare opportunity to get up-close and personal with legendary guitarists as they share their tips, techniques and talents in Livermore�s historic downtown. Enjoy a world class concert with Larry Carlton at the intimate Bankhead Theater, attend a free clinic taught by your favorite guitar guru at ABC Music, check out the hottest new guitar gear in the Bankhead lobby, or kick back at the outdoor stages for free live concerts and enjoy a glass of award winning Livermore Valley wine or a cold pint of micro-brew at Blacksmith Square. This year, LVPAC Guitar Fest LIVE! will hold its first Acoustic Guitar Competition, an outstanding opportunity for talented guitarists to take the stage, gain fans, and win great prizes including valuable media and performance exposure. The grand prize winner will be selected from the six finalists invited to perform before a panel of expert judges and live audience. If you love guitars and music, you don't want to miss this "electrifying" event! This year LVPAC Guitar Fest LIVE! will host its first Acoustic Guitar Competition � an outstanding opportunity for talented guitarists to take the stage, gain fans, and win great prizes including valuable media and performance exposure. The grand prize winner will be selected from the six finalists invited to perform before a panel of expert judges and live audience. The competition finals will take place Sunday afternoon, September 16, 2012 at Blacksmith Square in downtown Livermore. Location: Blacksmith Square - 25 S Livermore Ave.
Television and screen actress, Markie Post, is best known for her roles as bail bondswoman Terri Michaels in The Fall Guy on ABC from 1982 to 1985, as public defender Christine Sullivan on the NBC sitcom Night Court from 1985 to 1992, and as Georgie Anne Lahti Hartman on the CBS sitcom Hearts Afire from 1992 to 1995. She offers intriguing insights into a career in Hollywood. She is the daughter of Livermore scientist, Richard Post. The Tri-Valley Carvers welcomes you to its 40th annual wood carving show. The show will feature displays by its members, and a California Carvers Guild contest, Soap Carving, demonstrations, Christmas tree ornament demonstrations, and a country store, vendors offerings, and a whittling contest on a theme to be announced. Raffle Prizes, Judged Carving Competition, Whittling contest. Guitarist, singer and songwriter Dave Mason has excited audiences for more than 40 years with such instantly recognizable hits as Feeling Alright and We Just Disagree. He brought his distinctive acoustic guitar sound to the legendary recording of Jimi Hendrix� All Along the Watchtower and was inducted into the Rock and Roll Hall of Fame as a founding member of the influential 1960s band, Traffic. On stage or in the studio, Mason continues to thrill his listeners, blending old classic rock with an unmistakable touch of the blues. Experience the Romance at the Livermore Valley Wine Country Wedding Faire Sunday, September 23rd at the Bankhead Theater! Browse the Livermore Valley Wine Country's collection of wedding professionals and services. We have gathered the experts for an intimate and distinct open house. See the trendsetters of the season, taste the local wines and wedding cakes, be pampered with a facial, take a horse and carriage ride, compare prices and quality and start to create you own wedding memories. You can plan your big day in one day at one location! The City of Livermore invites the public to learn and ask questions about the City�s draft Climate Action Plan. The City of Livermore (City) is holding a meeting to provide information about the City�s draft Climate Action Plan (CAP). The draft CAP outlines voluntary measures that will reduce greenhouse gas emissions produced within the City. Location: Livermore Area Recreation & Park District, Robert Livermore Community Center in the South Ballroom at 4444 East Avenue in Livermore. More info: Additional information and the draft CAP is now available at http://www.cityoflivermore.net/citygov/cd/planning/cap/default.asp. The City encourages meeting participants to review the document prior to attending on Sept. 27. If you require translation services or accommodations for disabilities, please call (415) 677-7186 at least 72 hours in advance of the meeting. The award winning Pirates Of Emerson are bringing chills, thrills a cut throat terror to the Bay Area for the 20th year. Consuming over 4 acres including 6 haunted. Attractions: Bumpkin Patch, Carnevil, Bone Ball, Fields Family Corn Maze, Misfortune Teller and more! General Admission: Fri, Sat, & Halloween: $25. All other nights: $20.00 - This ticket will allow you entrance into all 5 Haunted Houses, both Mazes and the Bumpkin Patch! Speed Pass add $10.00 - Tired of waiting in lines? A Speed Pass will allow you to bypass the normal lines and use a special entrance into the Haunted Houses. The only other people in these lines are other Speed Pass holders. With your General Admission ticket, it will allow you priority entrance into all 5 Haunted Houses, both Mazes and the Bumpkin Patch! Combo add $5.00. This option will give you 10 Monions for $5.00 (a $5 savings). Corn WALK only $10.00. This will allow you access to our Corn Walk. Livermore Art Association Sept 1-30 Livermore Art Association Group Art Show will be exhibiting at the Livermore Library from September 1 through September 30. About 35 works of art will be displayed featuring local valley artists and offering a variety of subjects from realistic to abstract. The Livermore Art Association is dedicated to promoting public interest and appreciation in fine arts and crafts and in encouraging artistic development in our community. The organization serves nearly 300 members. LAA Group Art Show is at the Livermore Main Library, Artist Gallery at 1188 S. Livermore Ave. It is open during normal library hours. Rincon Library starts in Oct. Is your child experiencing difficulties reading or simply needs some encouragement to enjoy reading? If so, the free Paws to Read program, sponsored by the Livermore Public Library and the Valley Humane Society, might be the solution. The Paws to Read program matches elementary-aged beginner readers with trained and certified dogs in a non-judgmental environment. For 25 minutes, your child will read to their furry friend with the dog�s owner quietly looking on to help with any tricky words. Programs of this type have been successful across the country, and testimonials from Livermore parents have been extremely positive. � September 5 through October 24, 2012. � There are two sessions every Wednesday. The first session is from 7:00pm- 7:25pm. The second session is from 7:35pm- 8:00pm. � Registration begins on Monday, August 27, 2012. � Registration begins Monday, October 8, 2012. Children may register for up to three sessions during the Fall Program, as space allows. Drop-ins may be accepted on a first-come, first-served basis. Participating children should not be fearful of dogs or have allergies to pets. For more information about the Civic Center series or to register, please call the Livermore Public Library�s Children�s Desk at 925-373-5504. Main Library Sept 10: Learn basic Internet skills at the Internet for Beginners. Sept 17: Follow up with Searching the Internet. Sept 24: The Introduction to Microsoft Word class. In this class we will cover the basics of word processing and teach you how to create a simple document. Classes are hands on, first come, first served, and take place in Community Meeting Room B. Stop by the Civic Center Library Adult Information Services Desk or call 373-5505 for further information. � Lapsit : Tuesdays and Wednesdays at 10:30 a.m.
� Preschool: Tuesdays and Wednesdays at 11:00 a.m.
� �Pajamatime� Family storytimes: Mondays at 7:00 p.m.
� Baby/Toddler: Fridays at 10:30 a.m.
� Preschool: Fridays at 11:00 a.m.
All ages are welcome to these free library programs. Contact Youth Services at (925) 373-5504 for more information, pick up a storytime schedule at any one of the Livermore Public Libraries, or consult the website: www.livermorelibrary.net. � Monday, September 10: PAJAMATIME FAMILY FIRE TRUCK TIME! Dress like a firefighter if you like, and join us for a special event all about fire trucks and fire safety. � Monday September 17: FALL IN FOR STORYTIME! Autumn is near, and we�ll be sharing books that remind us of the season. Don�t be �leafed� out! � Monday, September 24: DUCK! IT�S STORYTIME! It�s a great night to flock into the library for an evening of stories that will really �quack� you up! � Monday, October 1: STORYTIME IS MUSIC TO OUR EARS! Listen to a symphony of funny stories about music and musical instruments. We might even listen to a tune or two- perhaps played on a kazoo! � Monday, October 8: STORYTIME GOES ABROAD! We�ll travel the world from the comfort of our own library storytime room, with stories of fun all over the world! Pack light-perhaps just a teddy bear and a friend or two. � Monday, October 15: STORYTIME LOVES CATS! Curl up at the library with your family and friends for some kitty stories that you�re sure to enjoy even more than a ball of yarn! � Monday, October 22: DON�T LET THE PIGEON DRIVE THE STORYTIME! Mo Willems�s famous Pigeon takes the front seat for a storytime full of silly characters who can�t always get what they want. � Monday, October 29: GOOD NEIGHBOR STORYTIME! Here�s an opportunity for you to introduce yourself to your neighbors- and introduce them to the joys of Pajamatime Family Storytime at the Livermore Public Library! We think everyone will love these silly stories about the people who you meet, when you�re walking down your street. � Monday, November 5: STORYTIME LEFT IN THE DARK! Daylight Savings Time is over, and the dark has crashed all around us. Take comfort: we�ll leave the lights on for you, and share some stories that should leave everyone in bright spirits. � Monday, November 19: THANKS FOR STORYTIME! Gather your family together for stories about family, togetherness, and fun! We�ll feel grateful to have you there. � Monday, November 26: A �ONCE UPON A TIME� STORYTIME! Tonight, we get hooked on the classics, with just a few old favorites that are always new to someone! � Monday, December 3: BEDTIME FOR THE BEARS! Your teddy bear deserves an evening out now and then! Wear your pajamas and bring your teddy if you like, and a few friends and enjoy fun stories about teddy bears. � Monday, December 10: STORYTIME SNOWED IN! Storytime�s about to take a short winter�s nap, but not before we warm up to some cool stories set in the snow. Bundle on up and head into your library to share in the joy with us! These programs will be held in the Storytime Room of the Civic Center Library, at 1188 S. Livermore Avenue. All ages are welcome to these free library programs. Contact Youth Services at (925) 373-5504 for more information, pick up a storytime schedule at any one of the Livermore Public Libraries, or visit the website at www.livermorelibrary.net. Main Library ARMCHAIR TRAVELERS, a monthly program, will take place at the Livermore Civic Center Library on THURSDAY, SEPTEMBER 13TH, 2012 from 1:30 to 2:30 p.m. Avid hiker Bob Coomber will share photographs of his adventures in the White Mountains of California, especially the Ancient Bristlecone Pine Forest. Adults are invited to this free program on the second Thursday of each month in the Community Meeting Rooms of the Civic Center Library, 1188 S. Livermore Avenue, Livermore. For additional information please call 925 373-5500. Main Library Calling all readers in fourth and fifth grades! The Livermore Public Library invites you to join Ms. Rebecca Hart for an hour of book discussion and fun at the Civic Center Library, 1188 South Livermore Avenue, Livermore. This free book club will meet from 4:00pm to 5:00pm, the second Friday of each month from September 14, 2012 through January 11, 2013, in the Storytime Room. At the first club meeting, Ms. Hart will present several books for nomination. Book club participants will decide which book to read as a group. Each participant will obtain a copy of the chosen book and then read it. Registration is required. Bring a friend and enjoy the fun! To register for this program or for more information, please contact the Youth Services Desk at (925) 373-5504, or visit the Library�s website: www.livermorelibrary.net. Mondays, September 17 through November 5, 2012 from 11:00am -11:30am. This program will take place in the Children�s Storytime Room of the Civic Center Library, 1188 South Livermore Avenue, Livermore, and are free of charge. 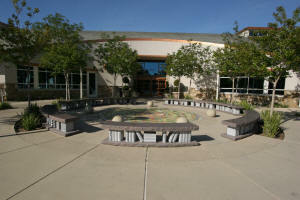 For further information, please contact Youth Services at (925) 373-5504, or consult the website: www.livermorelibrary.net. The Rincon Library has regular craft days the third Friday of every month from October through December 2012 from 3:00pm-5:00pm. Crafts are designed for children in grades Pre K- 5. No registration necessary. For more information, please contact the Youth Services Desk at (925) 373-5504, or the Rincon Library at (925) 373-5540, or visit the Library�s website: www.livermorelibrary.net.